FLIR, established in 1978, has walked a long way from being the initiator of thermal imaging to becoming the global leader in design, production and marketing of thermal imaging infrared cameras. Today, it blueprints, develops, produces, markets and also distributes unique sensing solutions to enhance perception and awareness. Its products boost public safety and improves energy efficiency across the globe. 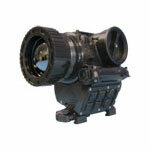 In the offing are items such as thermal imaging systems, visible-light imaging systems and locator systems. Measurement and diagnostic systems, and advanced threat detection systems are also part of the list. Take your pick from the vast array of FLIR products for better perception and awareness, and increased safety and energy efficiency. Buy now.